There's no question that becoming a legal permanent resident (LPR) can take time depending on a number of factors, but is there one path to a "green card" that is faster than others? Here we will discuss the different factors that play a role in the process, including who sponsors the petition, the nation of origin, and the different immigrant visa categories, among other factors. What is a Legal Permanent Resident? A legal permanent resident (LPR), is someone who has gone through the naturalization process and become a lawful permanent resident of the United States. LPRs are issued Alien Registration Cards, popularly known as green cards, which allows them to live and work legally in the country. Green cards are different from temporary work permits, which do not provide a permanent legal status. For other ways to obtain legal permanent residency, visit the USCIS website. With the U.S's current immigration framework, the wait for a green card can be as long as 25 years or as short as 15 days. What makes the difference? In these cases, one of the biggest factors is the immigrant visa preference category in which the petition falls under. Aside from this, high demand for immigrant visas from nationals of China, India, Mexico, and the Philippines creates an additional delay for applicants from those countries. Immigrant visa preference categories are established by U.S. immigration laws to create specific preference categories that qualify and assign a so-called "immigrant visa number" to foreign nationals. The immigrant visa number is essentially a "spot" in the waiting line for a green card. The reason some preference categories are "faster" than others is because while one category may have no delay in available immigrant visa numbers, another category may have a twenty-year wait. Why the discrepancy in delay times? U.S. immigration law sets a limit on the total number of immigrant visa numbers that are assigned in each category each year, as well as the number that can be given out to foreign nationals from a particular country. To find the break down on the number limits associated with each category and more information on which petitions the USCIS is processing for an immigrant visa number, refer to the visa bulletin. Within the visa bulletin, you will notice that immigrant visa numbers are divided into three main groupings: family-sponsored, employment-based, and a “diversity immigrant” category. Under each grouping, you will see that there are more specific preference categories, which we will discuss below. How can you know what petitions the USCIS is processing? The visa bulletin also has a chart listing cutoff dates associated with each preference category. Only applicants who filed a petition on or before the cutoff date may apply for an immigrant visa number. The date the petition was filed is known as the "priority date." • parents of U.S. citizens. First Preference (F1): Unmarried son and daughters (age 21 and over) of U.S. citizens. Second Preference (F2A): Spouses and children (under 21) of permanent residents. Second Preference (F2B): Unmarried sons and daughters (age 21 and over) of permanent residents. Third Preference (F3): Married sons and daughters of U.S. citizens, including their spouses and minor children. Fourth Preference (F4): Brothers and sisters of U.S. citizens, including their spouses and minor children, provided the U.S. citizens are at least 21 years of age. In terms of the "fastest" path to permanent residency through a family-sponsored petition, immediate relatives of U.S. citizens have the least barriers in their path to a green card. The second "fastest" path is for spouses and children of U.S. permanent residents, who currently have a wait time of less than two years. The longest wait is for brothers and sisters of U.S. citizens. It's important to note, however, that the preference type alone does not make one path faster than another. A number of factors play a role in the "wait time" for an immigrant visa number, such as the number of petitions filed under each preference category and the national origin of the applicant. For example, if there is a lower demand for F2B and a higher demand for F1, the delay time for F2B may become shorter, and thus "faster," than F1. First - Priority Workers: Persons of extraordinary ability in the arts, science, education, business, or athletics; outstanding professors and researchers; multinational managers and executives. Second - Professionals with Advanced Degrees or Exceptional Ability: Members of the professions holding advanced degrees, or persons of exceptional abilities in the arts, science, or business. Third - Skilled Workers, Professionals, and Other Workers: Skilled workers with at least two years of training or experience, professionals with college degrees, or “other” workers for unskilled labor that is not temporary or seasonal. Fourth - Certain Religious Workers: Certain “special immigrants” including religious workers, employees of U.S. foreign service posts, translators, former U.S. government employees, and other classes of noncitizens. Fifth - Employment Creation: Persons who will invest $500,000 to $1 million in a job-creating enterprise that employs at least 10 full-time U.S. workers. The "wait times" for employment-based immigrant visas are not as long as family-sponsored petitions, however, employment-based petitions require a lot more work and documentation from you and your sponsoring employer. For the most part, there is either no wait time or only a short wait time for employment-based petitions in all categories. Some exceptions include nationals from China, Mexico, India, or the Philippines who may experience a wait time of a substantial number of years, specifically in the second and third preference category. For more information on employment-based immigration, check out our blog on the topic. 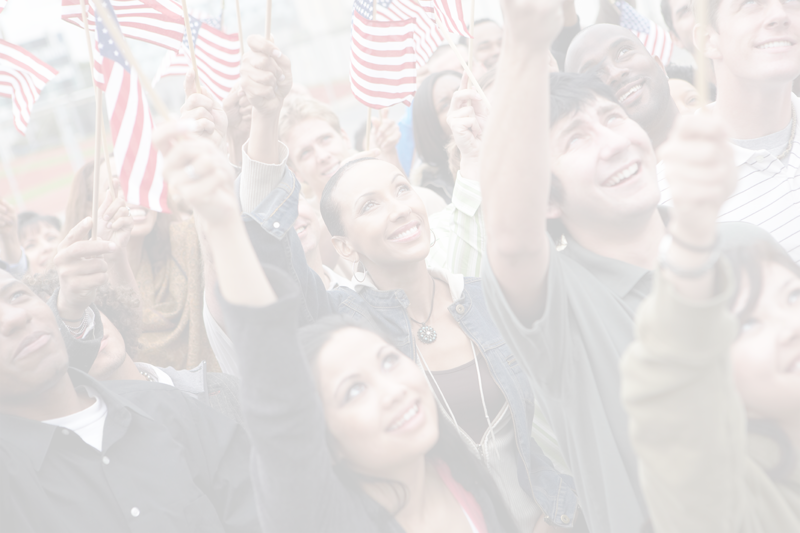 be born in a country with a low numbers of U.S. permanent residence applicants. As with all lotteries, being chosen is mostly dependent on luck. Additionally, if you are from a country that already has a high number of LPR applicants, you will not be eligible to apply. However, if you are lucky enough to be selected for a visa under the DV program, an immigrant visa number will be immediately available, thus creating a relatively "fast" path to permanent residency. Becoming a legal permanent resident in the United States is not a quick, simple, or easy process. Although there are some paths that are less delayed than others, there are a number of factors that play a role in this. For best results, I strongly encourage you to speak with an experienced immigration attorney who can guide you through the entire process, regardless of the route you take, and make it as smooth as possible.